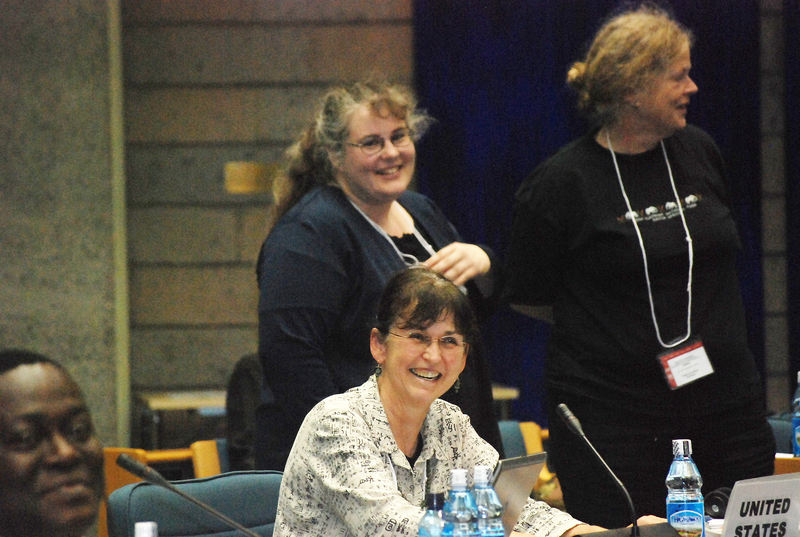 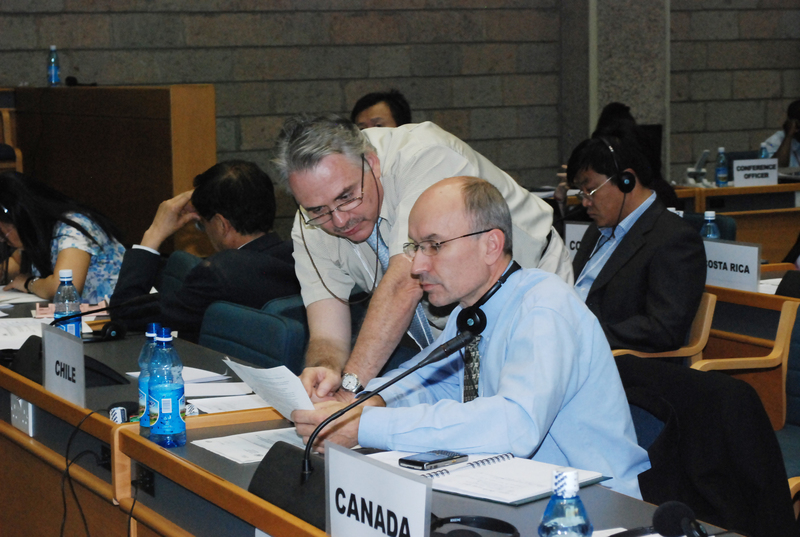 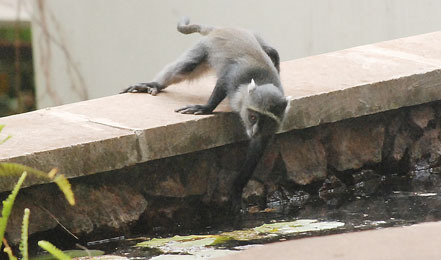 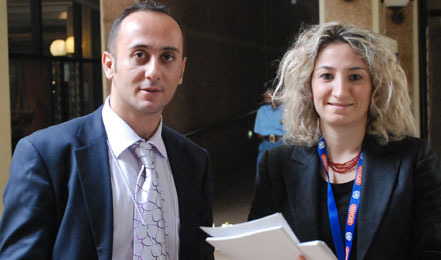 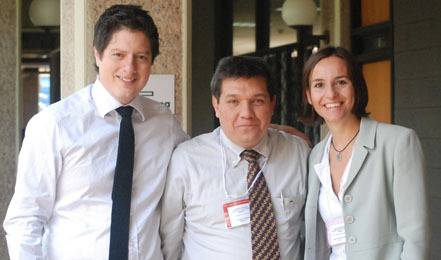 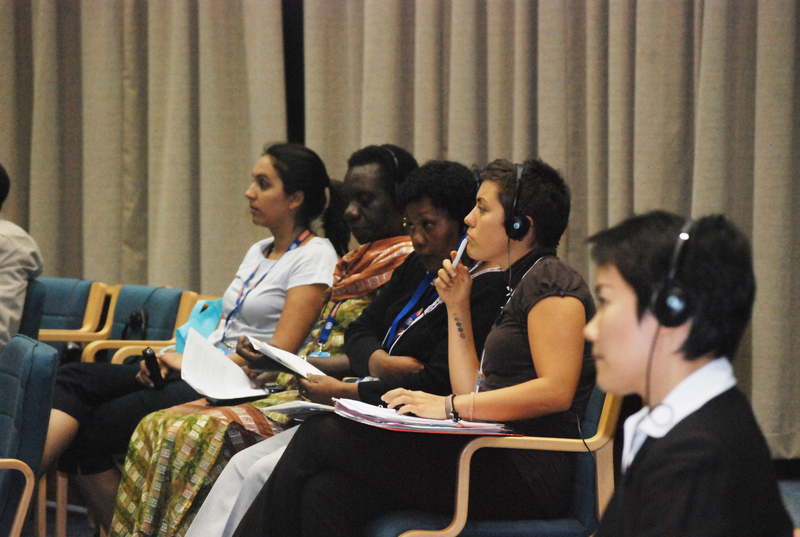 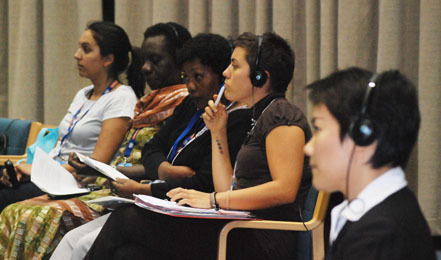 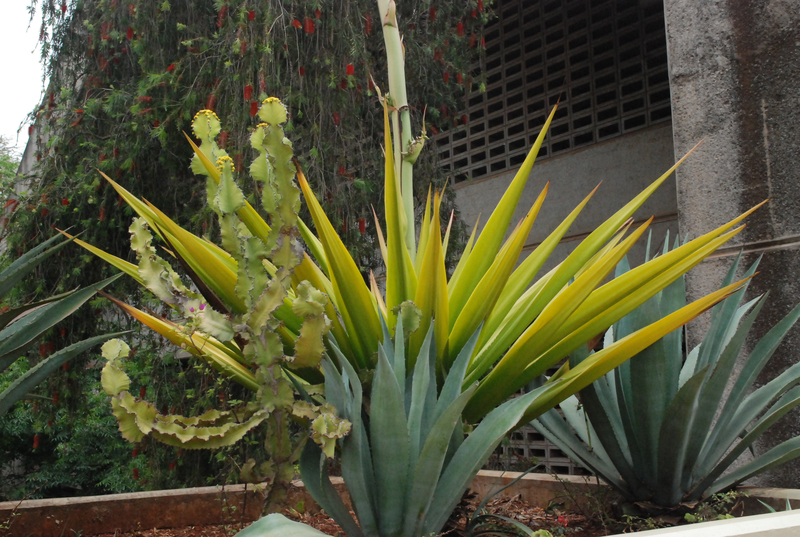 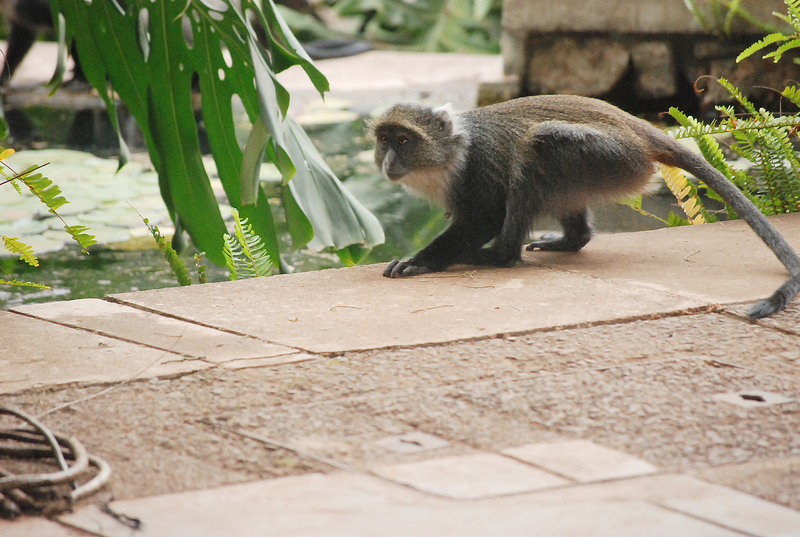 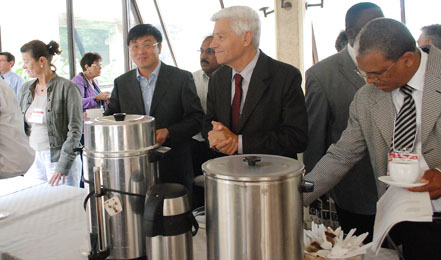 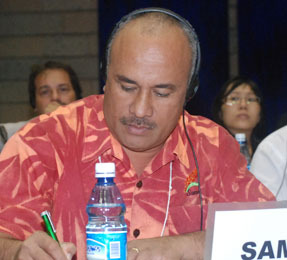 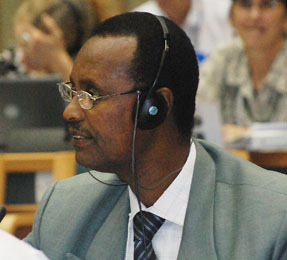 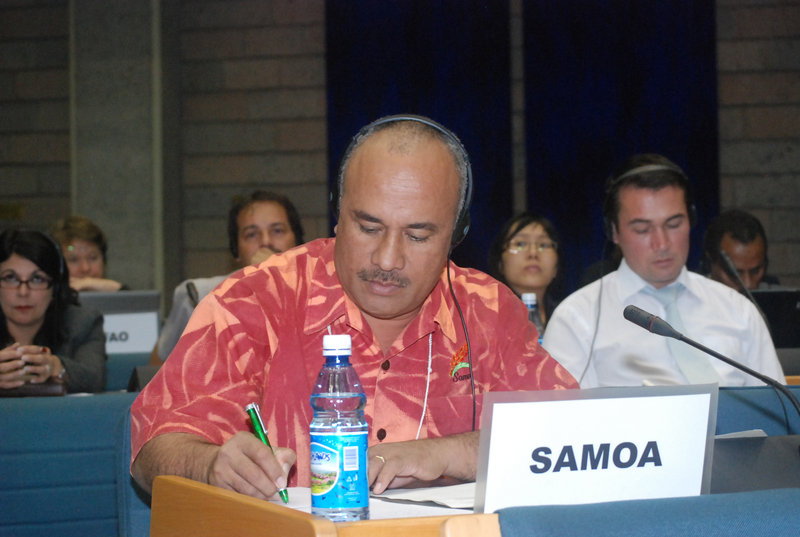 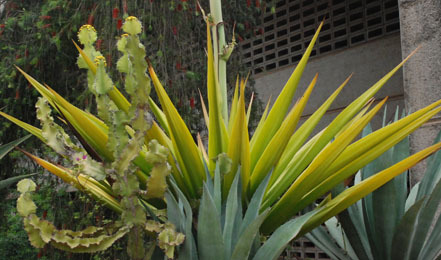 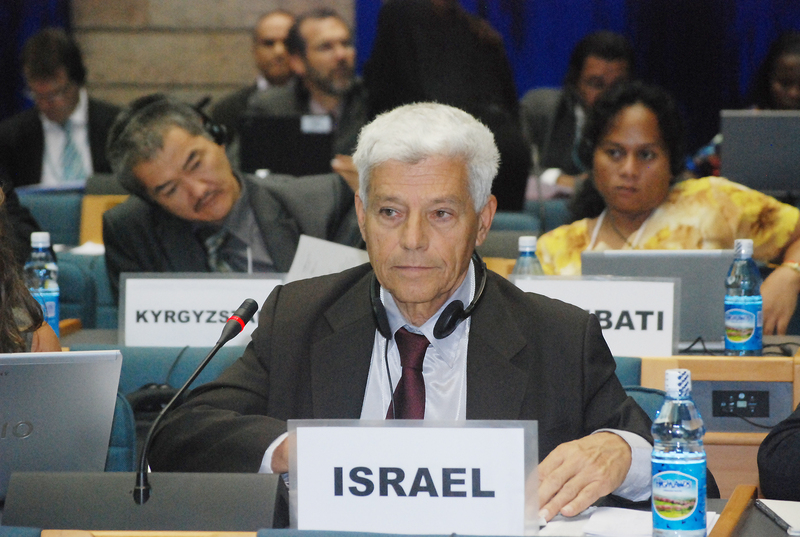 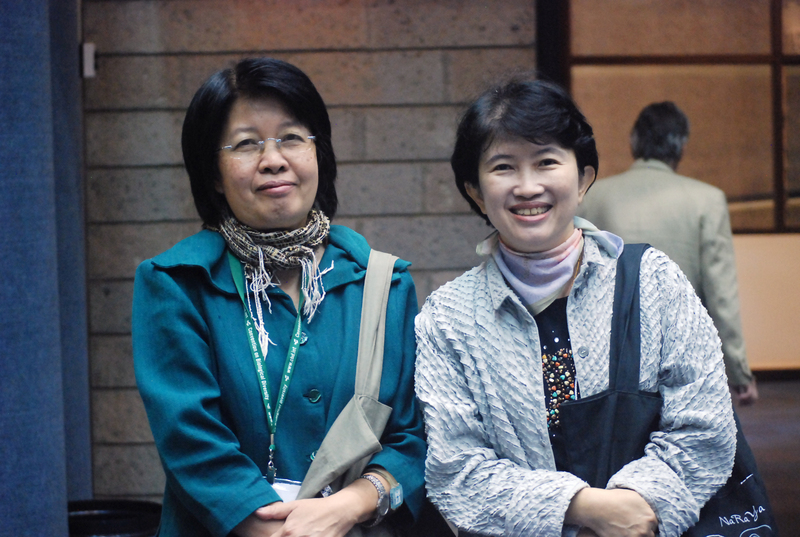 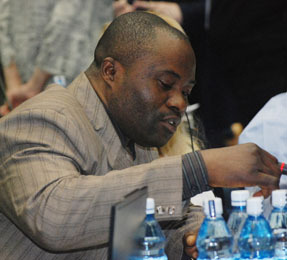 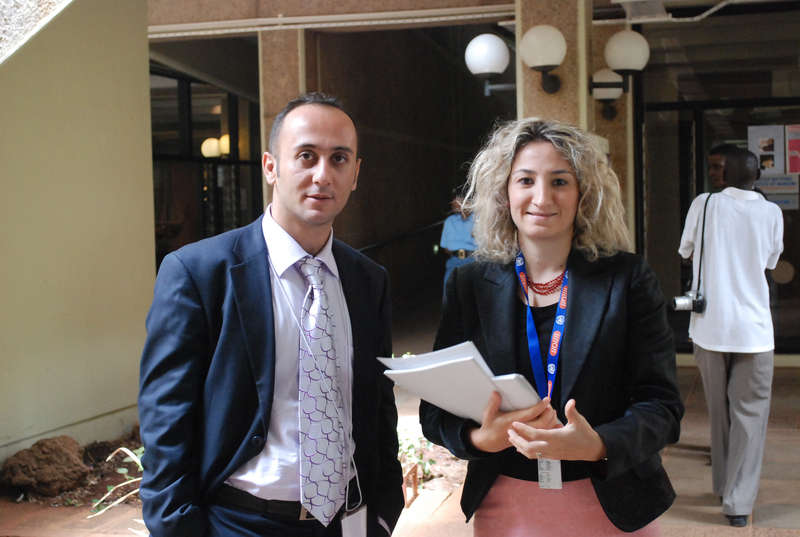 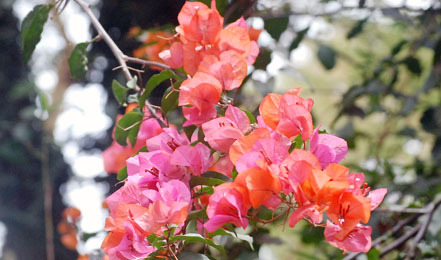 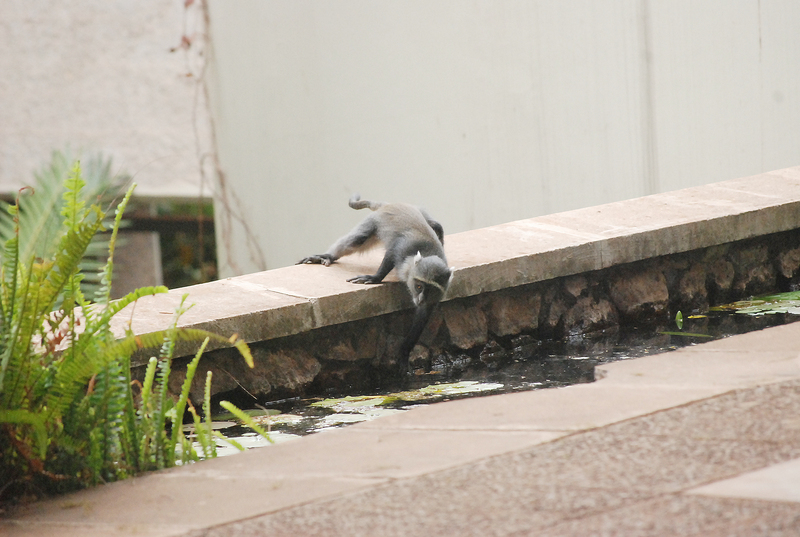 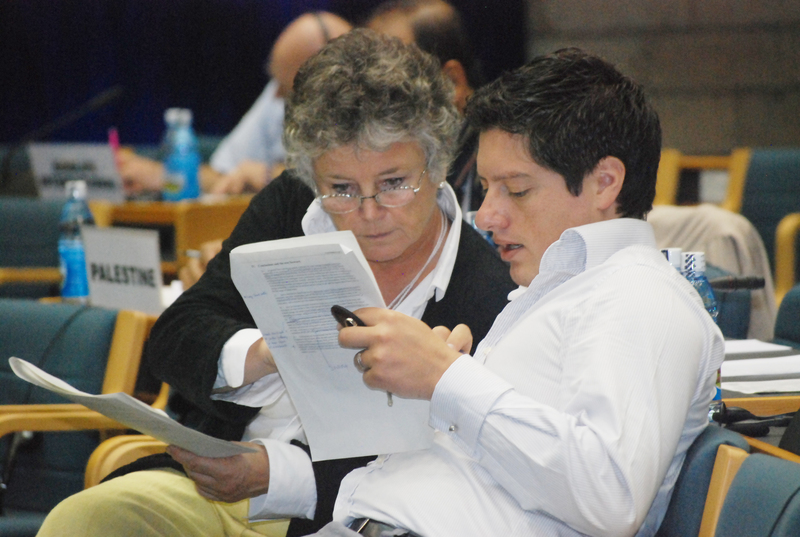 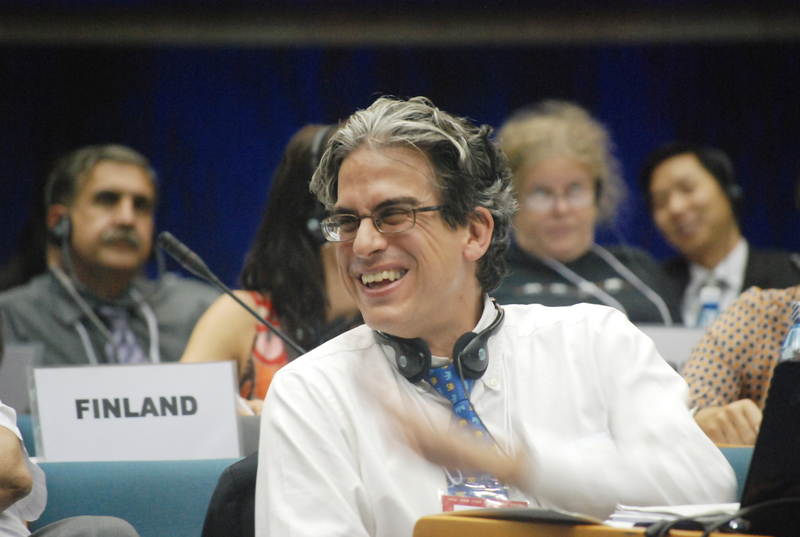 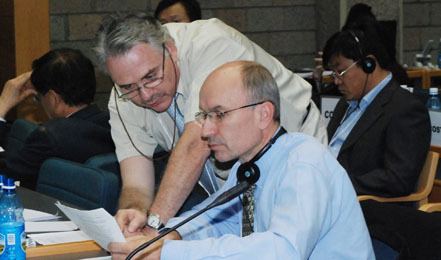 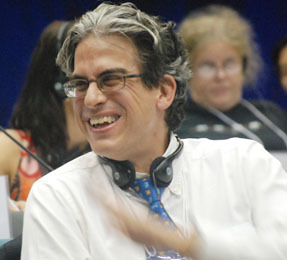 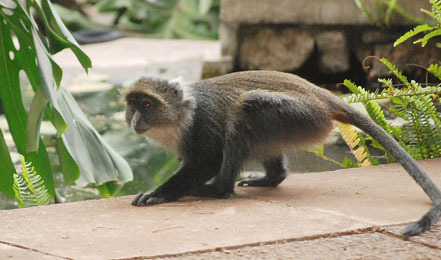 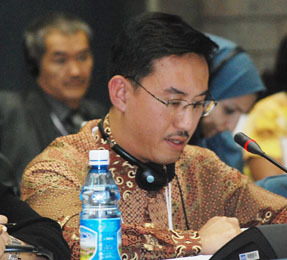 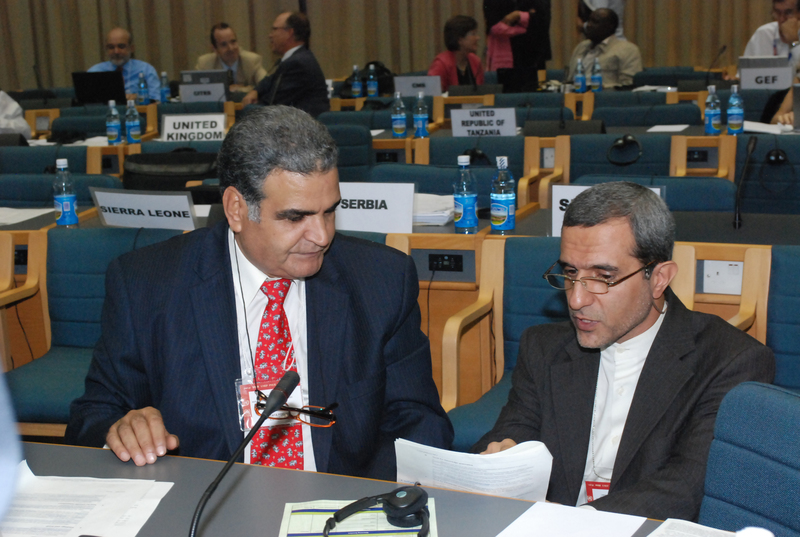 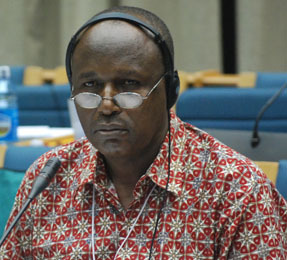 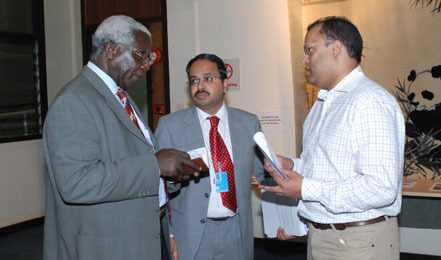 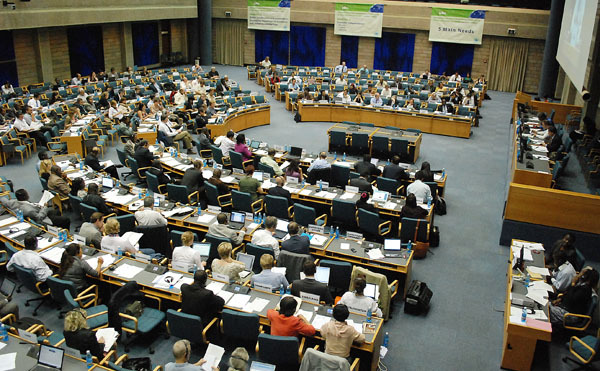 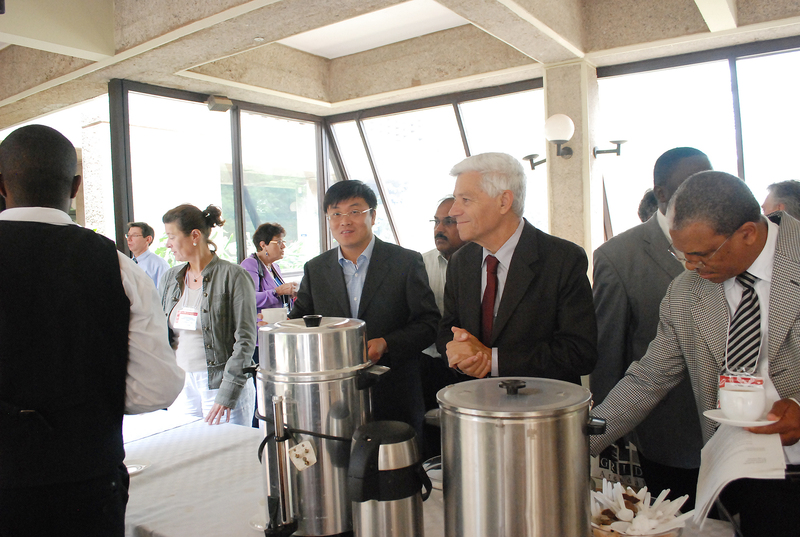 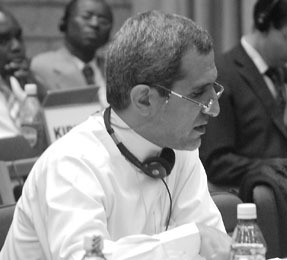 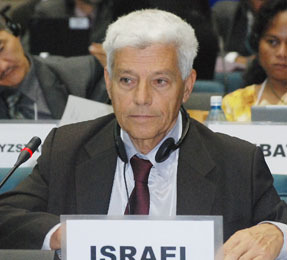 The Second Ad hoc Intergovernmental and Multi-stakeholder Meeting on an Intergovernmental Science-Policy Platform on Biodiversity and Ecosystem Services (IPBES) met from 5-9 October 2009, at the United Nations Environment Programme (UNEP) Headquarters in Nairobi, Kenya. 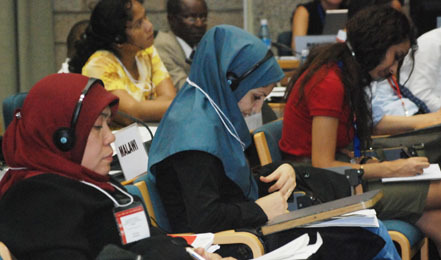 The meeting was attended by 225 delegates, representing 95 countries, 15 intergovernmental organizations and 15 non-governmental organizations. 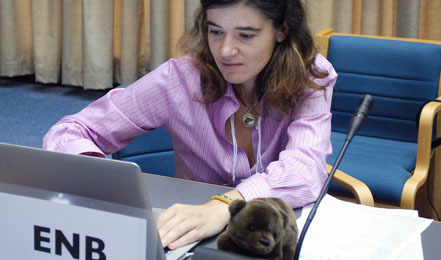 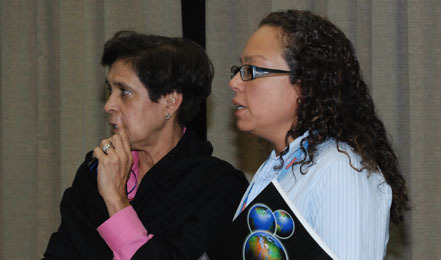 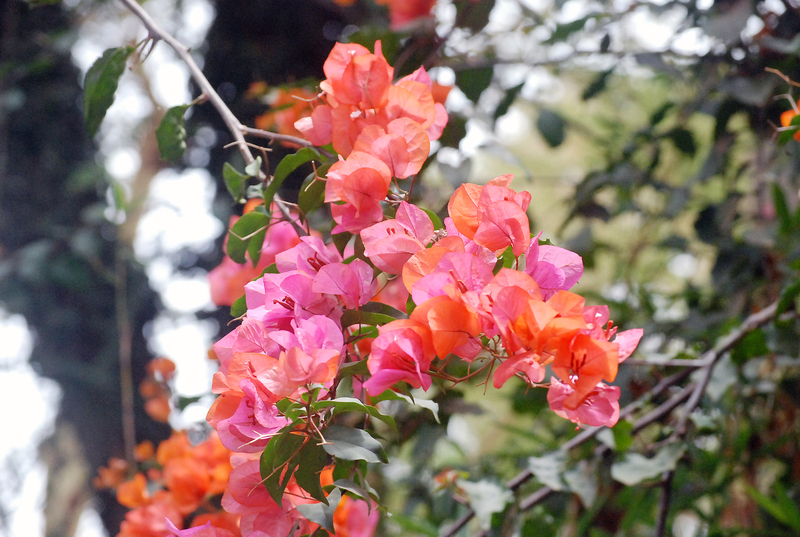 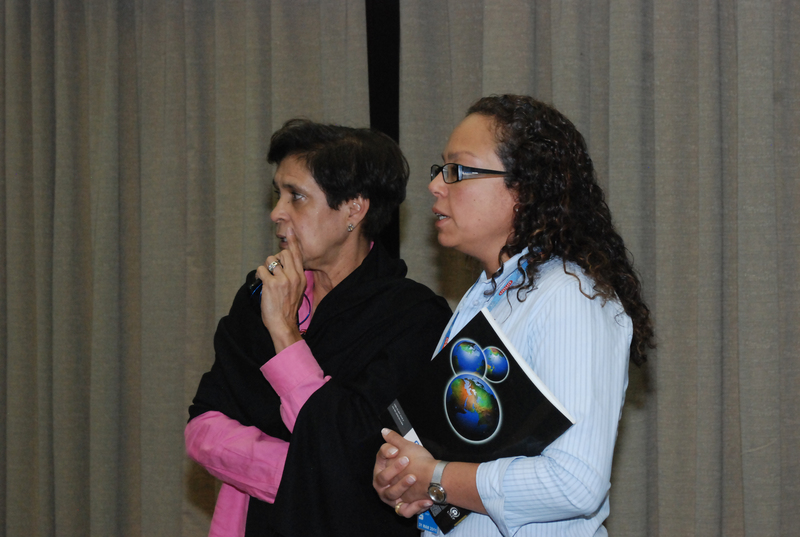 Over the five-day meeting, participants exchanged views on the major findings of the gap analysis, options to strengthen the science-policy interface, functions of an IPBES and possible governance structures. 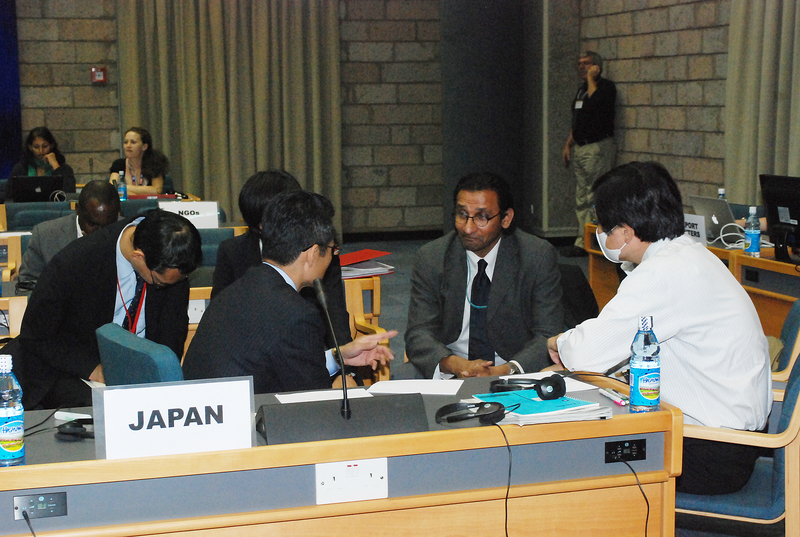 Participants adopted a Chair’s Summary, which highlights areas of agreement and reflects differing views expressed during the meeting. 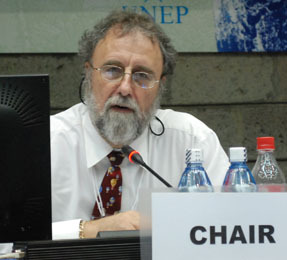 Delegates agreed, inter alia, that: the UNEP Executive Director report at the 11th special session of the Governing Council/Global Ministerial Environment Forum in February 2010 on the meeting’s outcome, and that the UNEP Governing Council request to convene a third and final meeting to negotiate and decide whether to establish an IPBES. 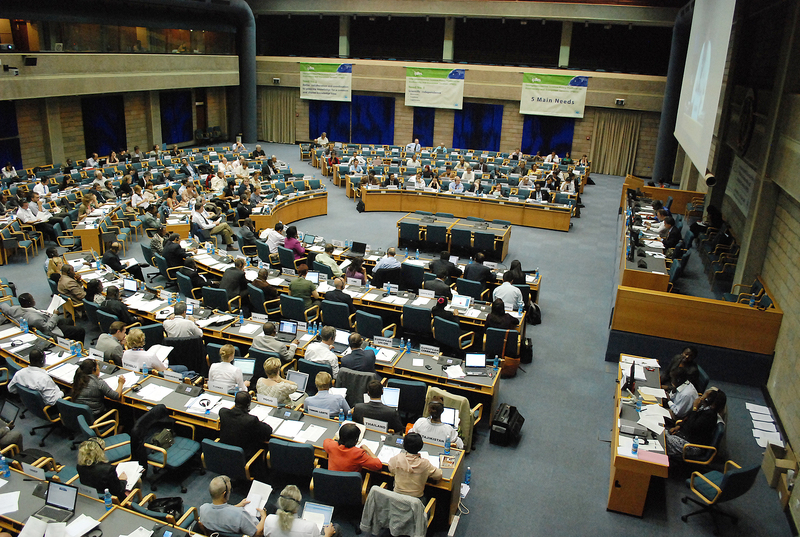 Most delegates expressed support for a new mechanism that carries out assessments able to generate and disseminate policy-relevant advice and emphasized the importance of capacity building and equitable involvement from developing countries. 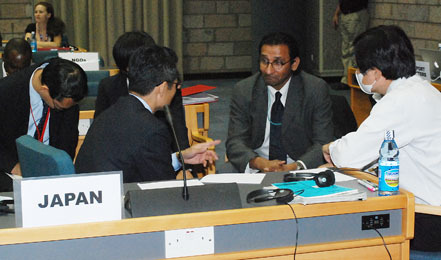 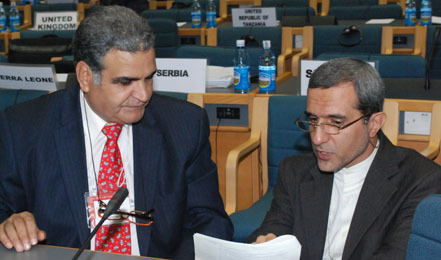 Most agreed that a new mechanism should complement Multilateral Environmental Agreement (MEA) bodies, not replace them. 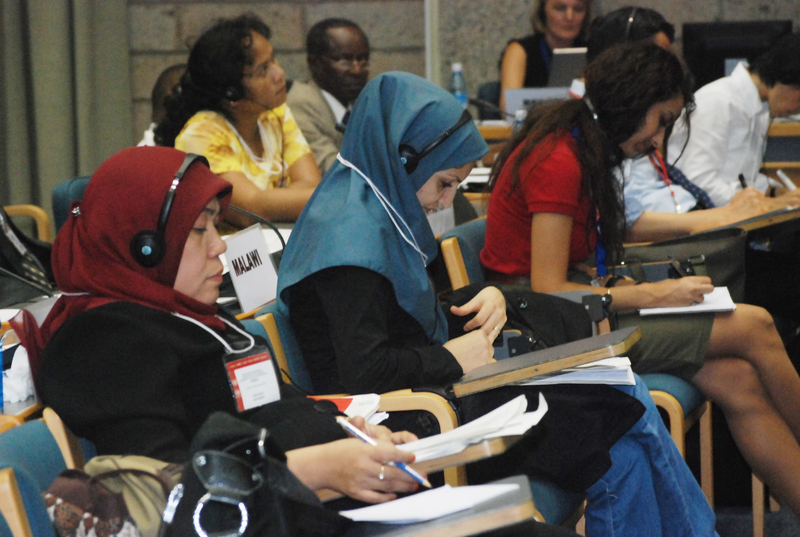 Many countries also recognized that a new mechanism should harness local and traditional knowledge as a tool for conservation. 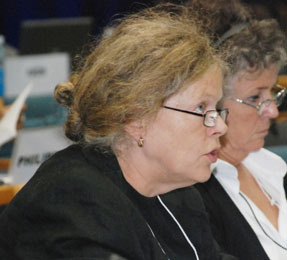 Tone Solhaug, Norway, emphasized the importance of involving non-governmental organizations. 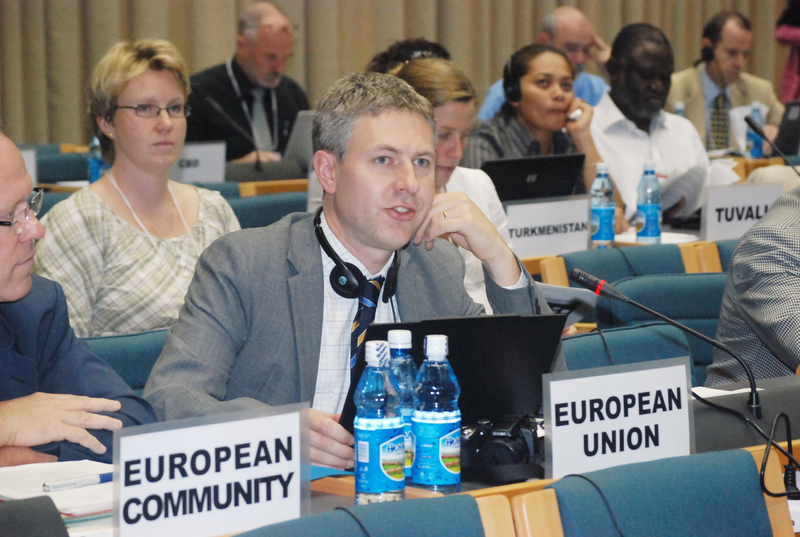 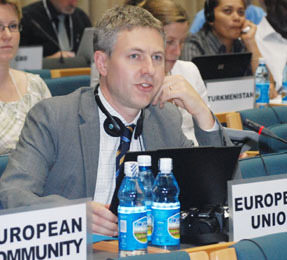 Lars Berg, EU, said the draft summary is more focused on science than on policy. 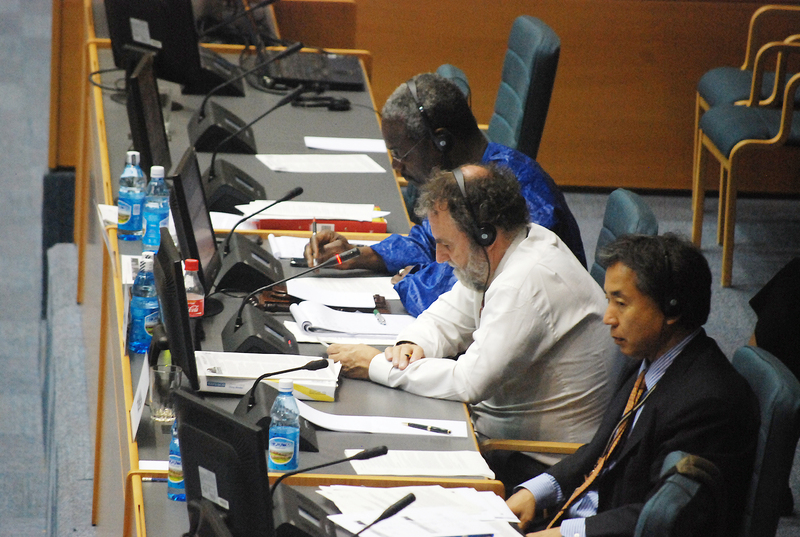 The dais during the morning plenary session. 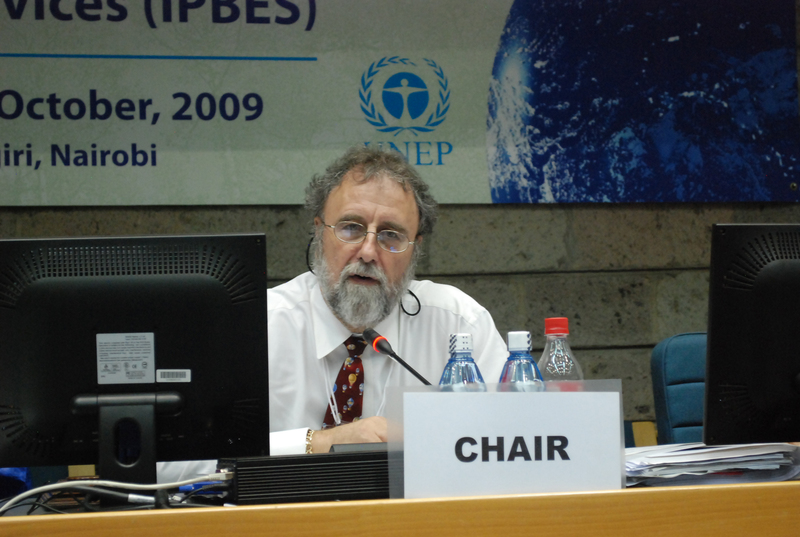 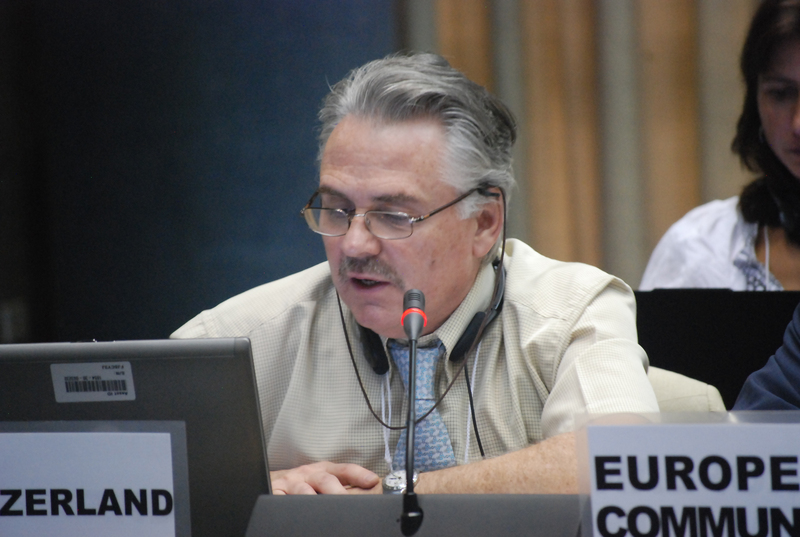 Fernando Coimbra, Brazil, noted that the Chair’s summary should also reflect that an IPBES function is to catalyze knowledge generation. 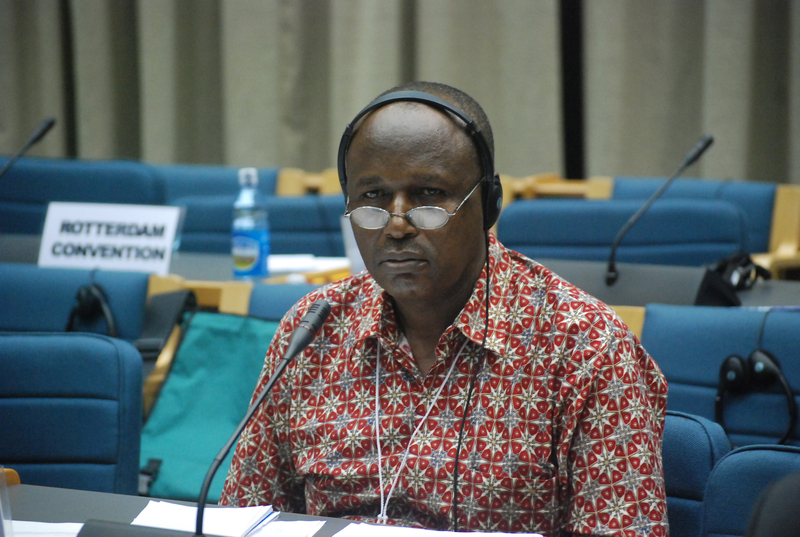 On the need for capacity building, Girma Balcha, Ethiopia, said local communities should be included. 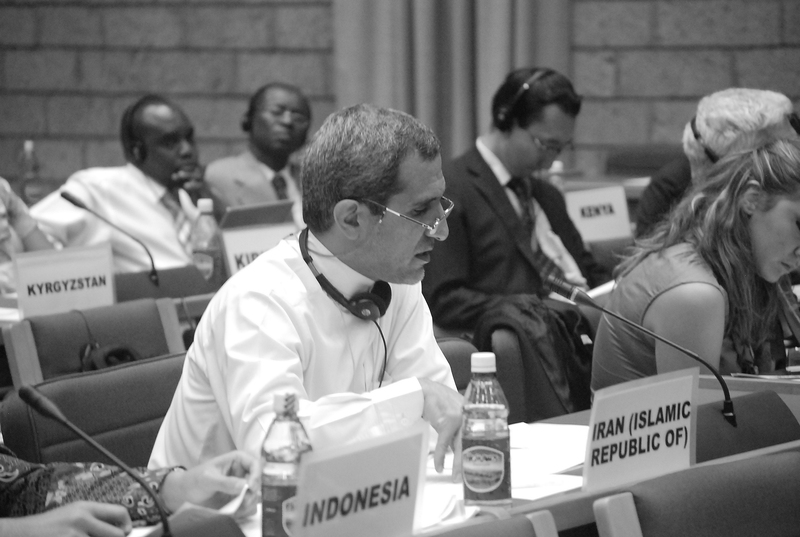 On the need for capacity building, Massoud Rezvanian, Iran, asked to include reference to free and open online access. 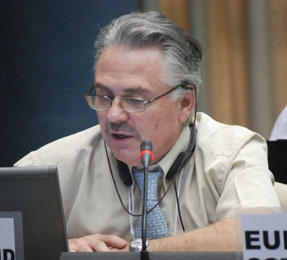 On a governance structure, Robert Lamb, Switzerland, fully supported the idea of mentioning a transparent process. 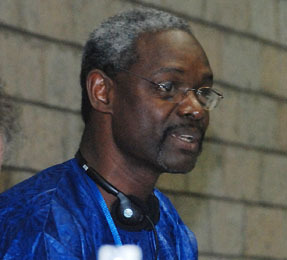 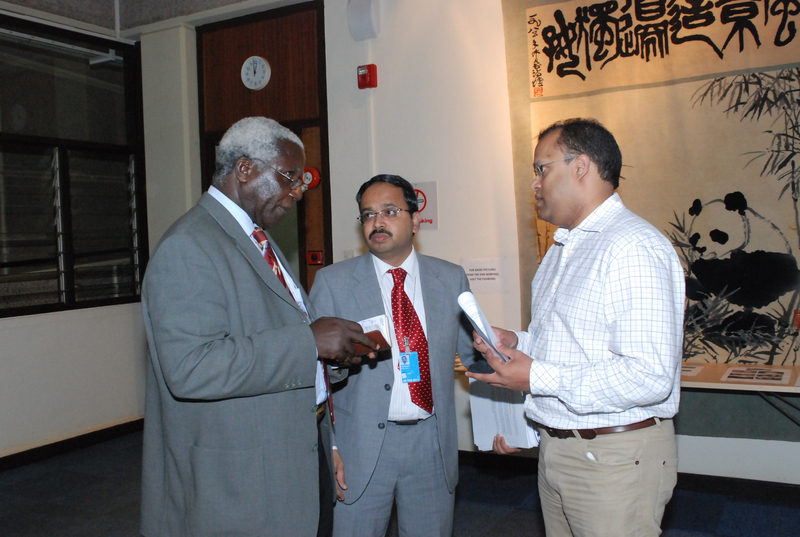 Ibrahim Thiaw, UNEP, informed delegates that US President Barack Obama been awarded the 2009 Nobel Peace Prize. 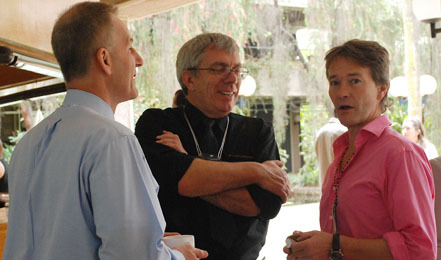 Christine Dawson, US, receiving the news of Barack Obama's win. 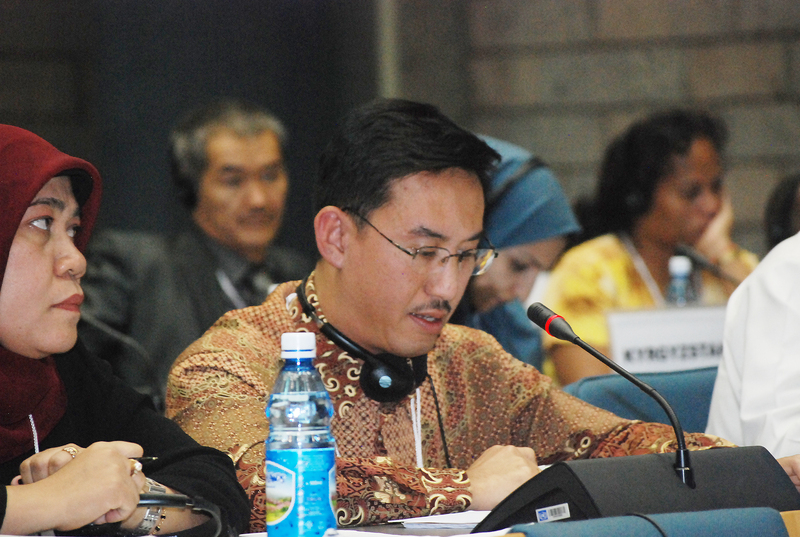 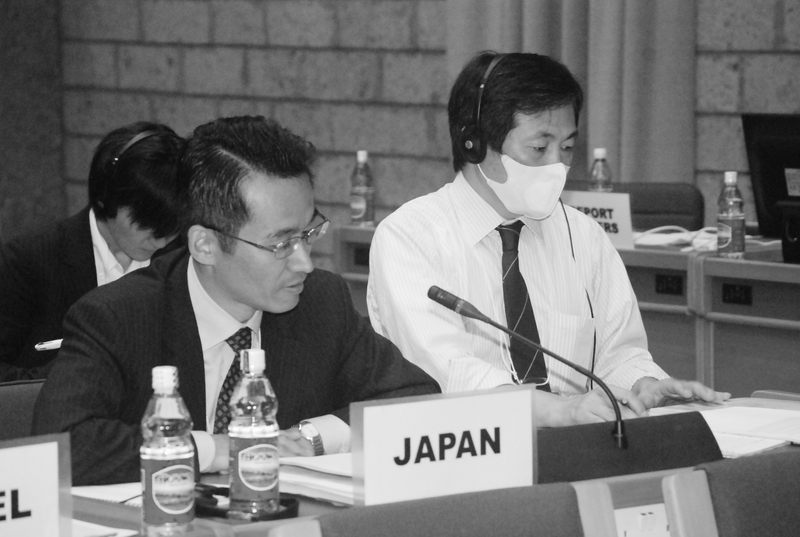 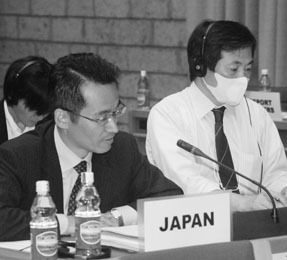 Masayoshi Mizuno, Japan, asked for clarification on how to prepare for the next IPBES meeting. 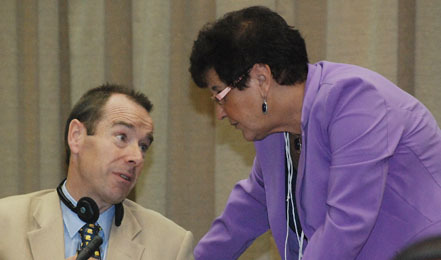 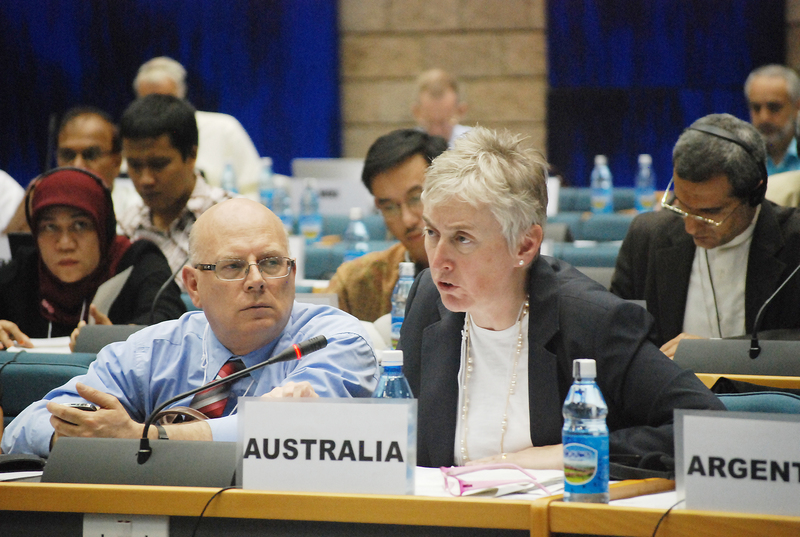 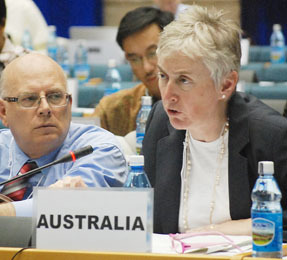 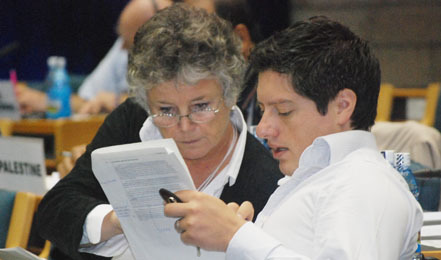 Sarah Titchen, Australia, noted that the Chair's summary should reflect diversity and richness. 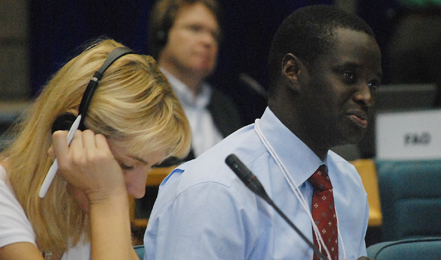 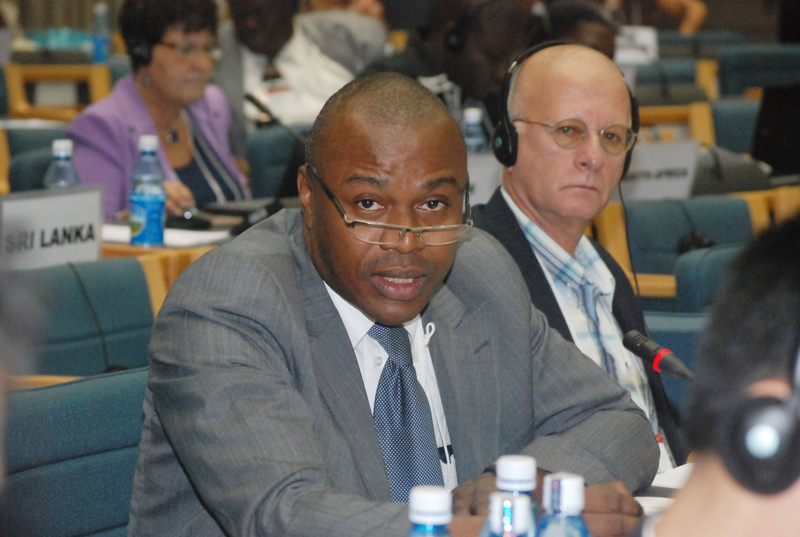 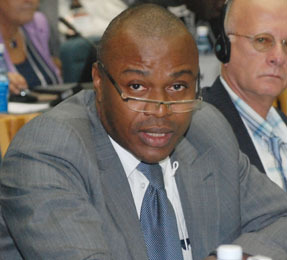 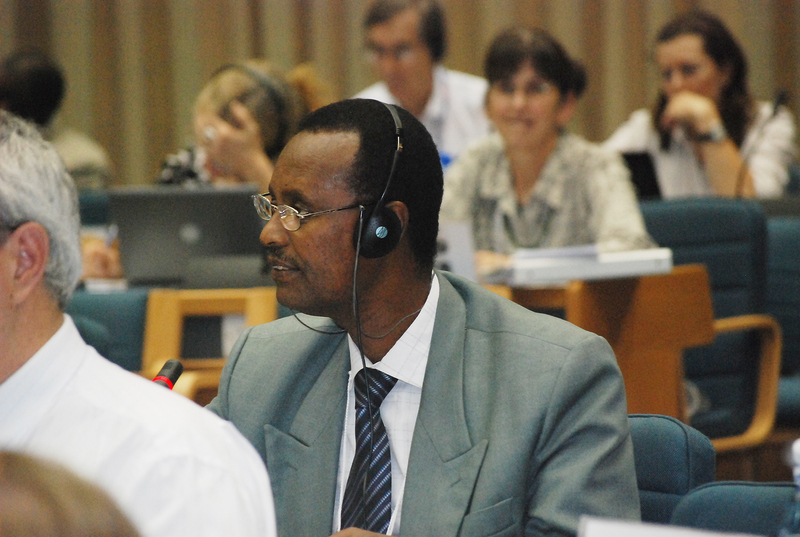 Yao Bernard Koffi, Côte d’Ivoire, noted that an IPBES should facilitate knowledge and scientific information. 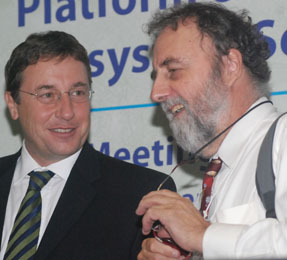 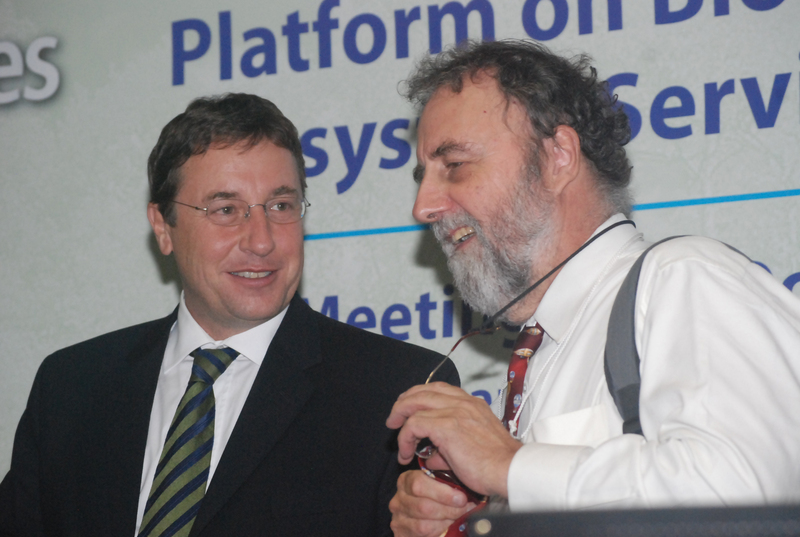 Achim Steiner, Executive Director, UNEP with Chair Watson. 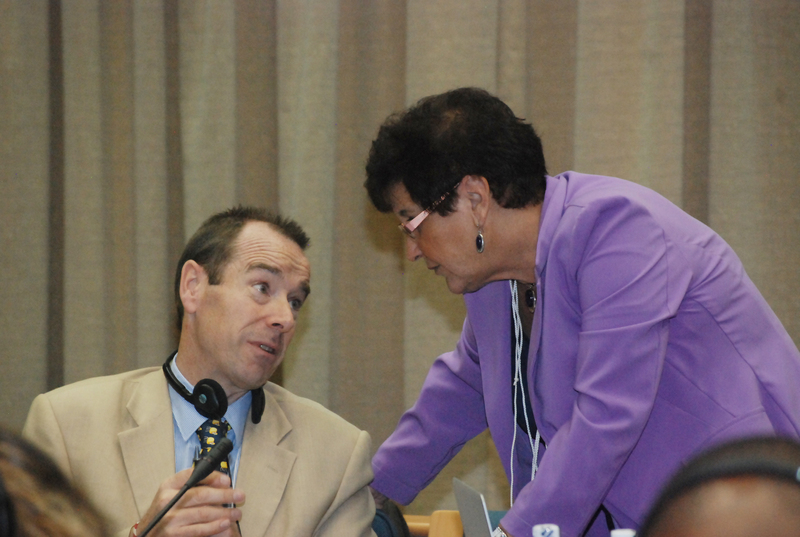 Chair Watson closed the meeting at 7:31pm.